Product #5560 | SKU MIT-435 | 0.0 (no ratings yet) Thanks for your rating! Hosa MIT435 Impedance Transformer. 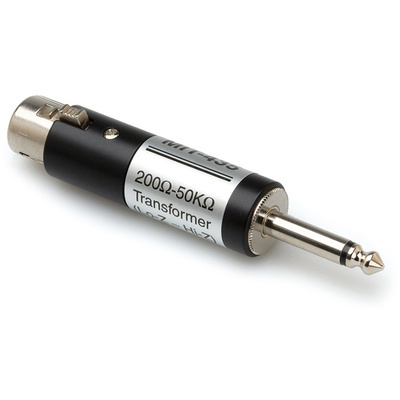 This adapter is designed to match 200R output impedance to 50K input impedance, (The transformer "PADs" the signal up so that the impedances are matched). It is ideal for connecting a microphone to hi-Z instrument jack.